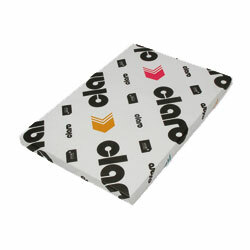 Claro Gloss has a natural smooth surface and exceptional gloss offering excellent levels of lift to images. It also offers the best bulk level on the coated paper market, bringing a unique tactile feel to your final document. Faithfully reproducing all colour ranges, Claro Gloss is the ideal solution to combine high-quality image printing, tactile feel and environmental friendly positioning (FSC) for any printed piece.